The environmental safety of WWTPs tail water plays an important role in the whole ecological environment protection, thus tail water’s disinfection became a significant defense line in both protecting the receiving water’s ecological safety and preventing the epidemic situation from being spread out. People have been pay more attention on the disinfection of wastewater treatment plants effulents. Traditional disinfectants have many disadvantages, finding new safety and efficiency disinfection technologies became more and more important. The work was carried out based on project of “Research on Mechanism of Ultrasonic Synergy Disinfection”----- which supported by NATURAL SCIENCE FOUNDATION of CHINA (NSFC).  The key influence factors in ultrasonic disinfection.  To find the mechanism of synergistic disinfection. 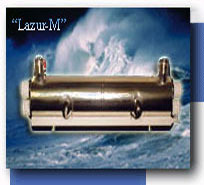 Ultrasonic generator and transducer are made according to our specially need. Ultrasound frequencies are 21.51kHz (horn) and 83.03kHz (column); UV light: SJD-I desktop UV germicidal lamp, AC220V-50HZ, quartz tube lamp’s power is 15W. Ultrasonic has gteat effect on CODcr during the first 50 seconds, The value of CODcr increasing rapidly with time increase. 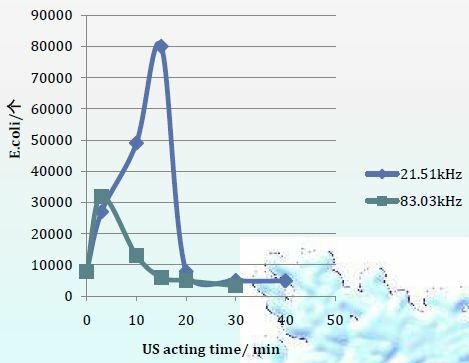 The experimental results show that, SS concentration decreaseing with the increase of US acting time. The size of big particle became smaller, samples became turbid. 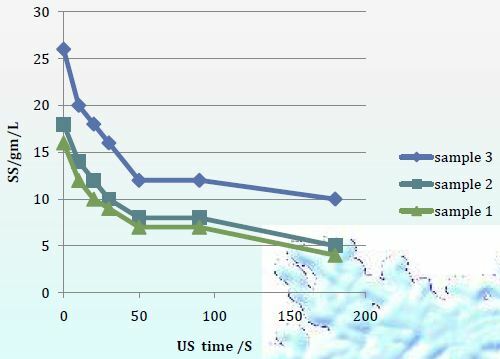 The number of E.coli increased with disinfection time in the initial stage of the experiment, and then decreased rapidly, it will below the initial value after 20 minutes. The number of E.coliform decreased with time increasing of ultraviolet irridiation. 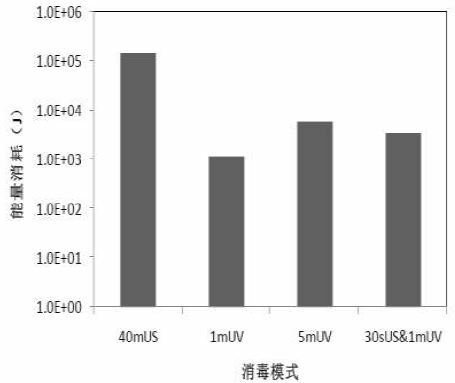 The total coliform number reduced by 2.8 log units when UV light disinfect for 30S, the total coliform number reduced by 3.4 log units when UV light disinfect for 40S, sterilization rate reach to 99.9%. However, the number of coliform became more and more during the following two days. Some bacterias which seem be killed reappeared. 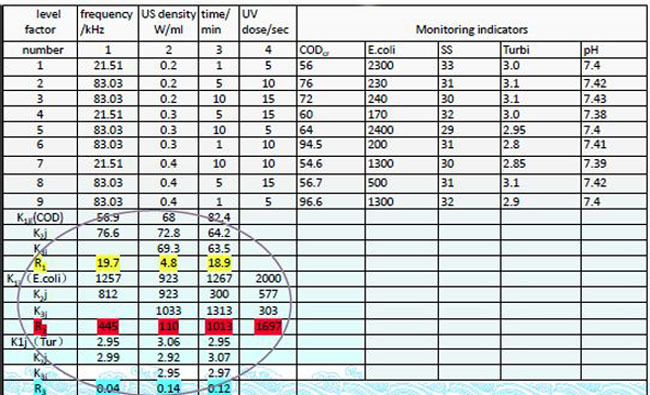 In the synergy disinfection experiment, US can improve the UV disinfection effect noticeably. With US pretreatment it only takes about one-third of the ultraviolet light exposure time to achieve the same disinfection results as ultraviolet treatment. 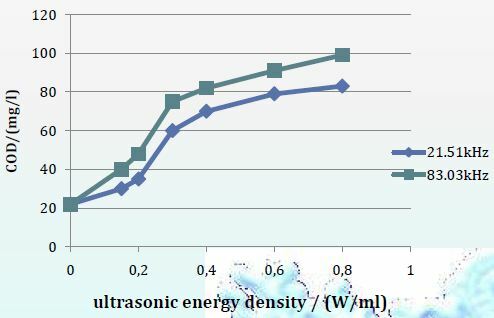 The energy consumption is large when only using ultrasonic for disinfection. 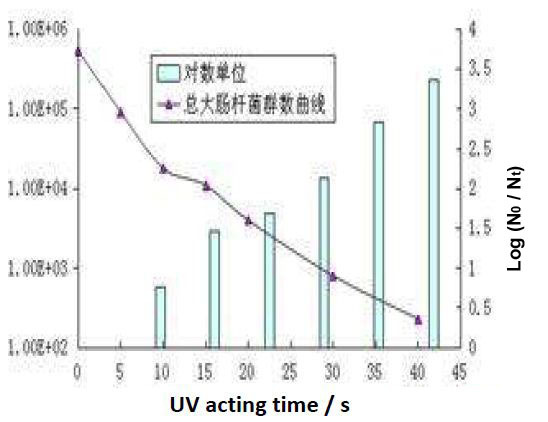 Very short time of US pretreatment, It can not only improve the disinfecton effect of ultraviolet radiation, but also achieve the same premising effects take shorter UV radiation time. 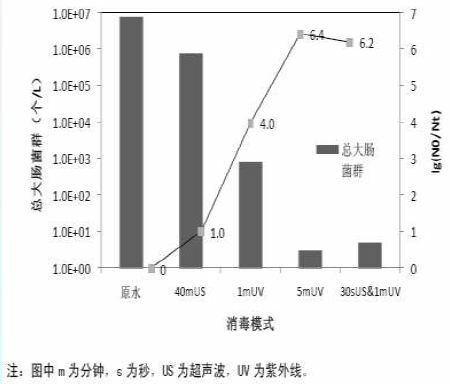 At the same time, the energy consumption is smaller than UV alone.  The application of a US step might also be beneficial in terms of costeffectiveness.  During the follow-up monitor, the phenomenon of photoreactivation was under control. 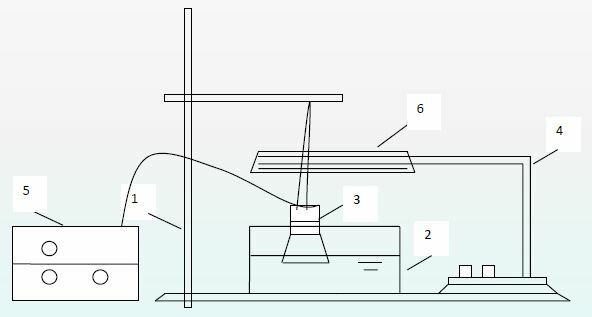 Characteristics of tested samples, Random error in the microbiology tests. 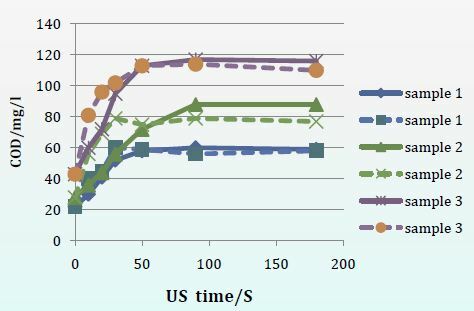 However, these experiments clearly showed that the proposal of using the US to pre-treat wastewater could be a very attractive alternative to enhance ultraviolet disinfect efficiency.